The town of silos. It is a center of the maize industry. The flat landscape of this area seems to be ideal for growing maize. Traveling in and out of town one sees wall to wall maize fields, thousands of hectares. 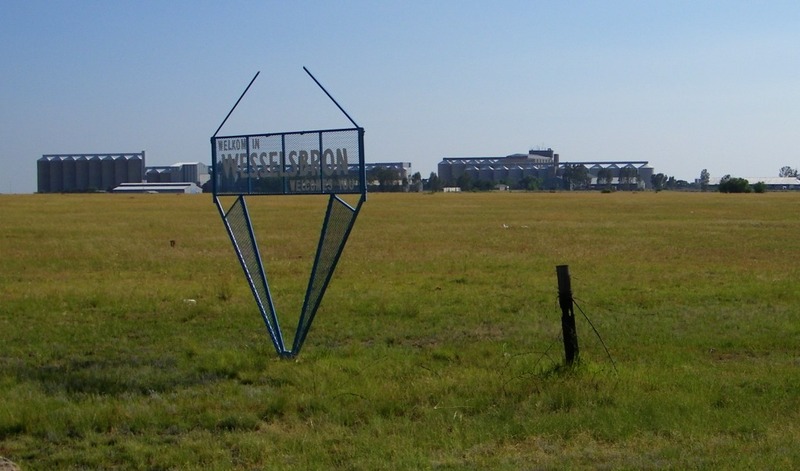 One of the newer towns of the Free State, it was started in 1920 and named after Cornelius J.Wessels. He was the commandant of the Boer forces that besieged Kimberley during the early stages of the Boer war. The town became a municipality in 1936. As we approached the church I said 'eh, look, a Moerdyk church', and I was right. This beautiful style of church is very typical of Gerard Moerdyk. 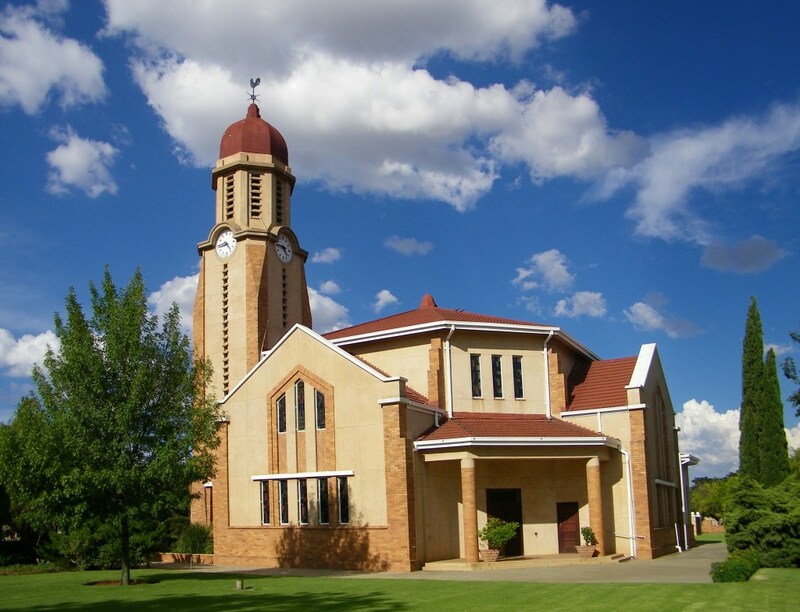 Who was the architect for many churches in the Free State and also of the Voortrekker monument in Pretoria. 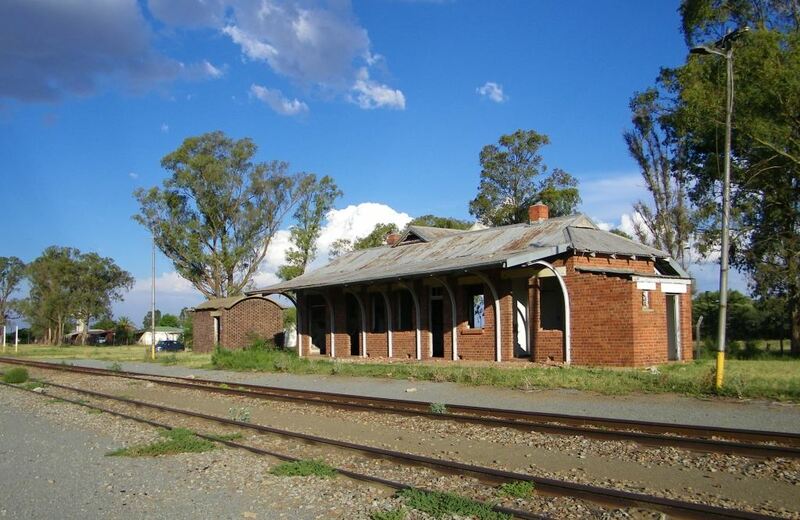 Yes, there is still an active railway line to serve the various industries in the area. Its the line that connects Bultfontein, Bothaville through Vierfontein to Orkney. But no station as such. Passenger service was discontinued a number of years ago. Reference: Standard Encyclopedia of Southern Africa, 1st edition published 1975.